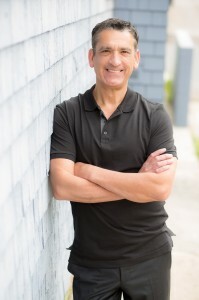 Dr. Marcos Ortega is dedicated to providing his patients with the latest advances in cosmetic dentistry, sedation dentistry and general dentistry. He is a member of local dental implant and cosmetic dentistry study groups where cosmetic dentists help each other improve and expand their skills. He networks with other cosmetic dentists and sedation dentists as a member of both the American Academy of Cosmetic Dentistry and the Dental Organization for Conscious Sedation. He is also an ongoing member of the prestigious Seattle Institute for Advanced Dental Education as well as the Crown Council. Dr. Ortega’s success has stemmed from a never-ending effort to improve the delivery of his dental services. Listening to patient concerns and desires in a relaxed environment allows for individualized care and trust. Understanding patient needs combined with the use of new technology to aid in achieving patient goals continue to contribute to his success among San Diego cosmetic dentists and sedation dentists. Dr. Ortega has been trained and certified in the use of Invisalign clear braces. This is a wonderful option for adults who want straight teeth but do not want to wear traditional braces. He also offers the latest one-hour teeth whitening system, Zoom!, a popular way for cosmetic dentists to rejuvenate your smile. Dr. Marcos Ortega understands that comfort in care is important to most people. Some of the advances in technology he uses to enhance comfort include the use of trans-dermal anesthetic patches in combination with “The Wand”, a computerized anesthetic delivery system. This procedure allows sedation dentists to help patients stay relaxed during the procedure while receiving the dental care they need. Sedation dentistry has allowed Dr. Ortega to change peoples’ lives. As one of a relatively small group of cosmetic dentists that are also trained sedation dentists, Dr. Ortega can provide dental care comfortably to those with even severe dental anxiety. The “one pill sedation dentistry” technique allows those people who have avoided the dentist to finally receive the care they need. Dr. Ortega is a certified member of the Dental Organization for Conscious Sedation or “DOCS”. As you are making your choice of cosmetic dentists, sedation dentists, or even general dentists, come visit with Dr. Marcos Ortega in our San Diego office, near Hillcrest and Mission Hills. You will find someone not only very qualified to be your dental health partner, but someone interested in you as a total person. Contact us today or fill out the form on this page and we will be happy to contact you.